The Productive Dentist Podcast and Everyday Practices. As dentists, you’ve heard podcasts before about dental sales pitches, what dentists are doing clinically, and sometimes marketing pitches about trying a new service, but rarely if ever have you heard a show that fuses best of practices--from regular dentists as guests--in sales/marketing, clinical pearls, and most importantly, financial and lifestyle discussions. Until now! Read more about our podcasts below and don’t forget to subscribe! If you’re going to listen to any podcasts in the dental industry, these are it! Subscribe to have the newest episodes delivered right to your inbox. Subscribers may get special offers, too! The Everyday Practices Podcast follows Vicki McManus Peterson and Dr. Chad Johnson as they interview dental professionals – from industry greats to the dentist across the street - about everything related to dentistry and practice ownership from productivity, to finances, best practices for patient interaction, personal habits and health, leadership and team building skills, and more. America’s Most Productive Dentist, Dr. Bruce B. Baird has a lifelong commitment to dental excellence. 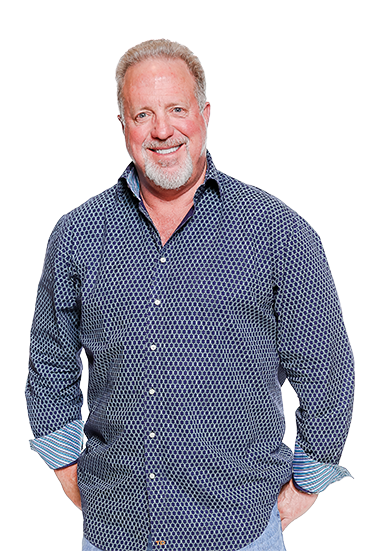 A nationally renowned cosmetic dentist, Dr. Baird is an international teacher and speaker on cosmetic, reconstructive, and implant dentistry, business management, and communication development. Instrumental in development of the Quadra-Guide surgical stent and Equaspacer Implant System, Dr. Baird also founded the Texas Centers for Implant Dentistry and Compassionate Finance. He is also involved with the American Academies of Cosmetic Dentistry and Implant Dentistry, the International Congress of Oral Implantology, and the Academies of Osseointegration and General Dentistry. Recognizing his ability to help other dentists achieve the same success he has experienced in his practice, Dr. Baird partnered with Vicki McManus Peterson to create Productive Dentist Academy which has been an invaluable resource to dentists nationwide. Dr. Baird is now sharing his knowledge of dentistry by hosting The Productive Dentist Podcast where he will share his expertise on productivity, scheduling, leadership, management, delegation, teamwork, and much more. As your hosts of the Everyday Practices Podcast, we figured you probably would like to know a little bit about us. We share a love of photography, RV travel, our families, and personal and professional connections, and of course dentistry. We also love Jenga, though we don’t agree on the rules! Co-founder and CEO of Productive Dentist Academy (PDA) Vicki has owned and operated several successful dental practices in her 30-year career. Vicki is a published author and celebrated speaker, and her efforts have resulted in her being honored with a Stevie Award as Female Entrepreneur of the Year in 2013, and PDA's 4-time inclusion on the Inc 5000 list of fastest growing companies. A Fellow of the Academy of General Dentistry, Diplomate of the International Dental Implant Association, and member of the Academy of Laser Dentistry, American Academy of Cosmetic Dentistry, and American Academy of Facial Esthetics. Chad owns and operates a high-tech practice he founded in rural Iowa where he enjoys serving the community he grew up in. Chad also has served on the Cerec Mentor Group where he trained other dentists in the use of Cerec technology. Productive Dentist Academy is an award-winning educational, coaching, and marketing company that helps dentists get off the month-to-month financial roller coaster of dental practice ownership so they can stop worrying about their practice and focus on creating a great patient experience. Productivity Workshops provide AGD-accredited continuing education on productivity, scheduling, leadership, teamwork, and more; doctors who attend PDA Productivity Workshops see an average increase of $8,000 per month within 90 days. Business Development Coaching helps refine every level of a practice – including scheduling, systems, culture, finance, marketing, and everything in between - and hold the doctor and team accountable while providing unlimited resources for success. Marketing services help dentists showcase to their communities who they are as dentists, so they stand out from the corporate crowd and attract the high-quality patients they want and need.